Want to install a Raspberry Pi operating system without messing around with image files and SD card writing programs? Fortunately, you’re in luck, as several tools are provided that simplify things considerably. But which one is best? Image Writing or Automated Installation? 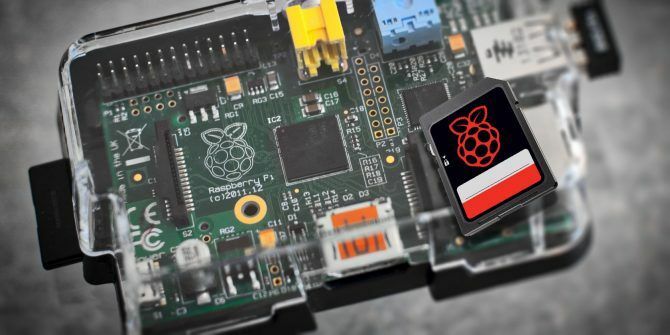 If you’re a seasoned Raspberry Pi user, or have installed operating systems to PCs from a USB stick, then downloading an ISO image file and “writing” it to flash storage is probably something you’re used to. But it’s not necessarily convenient. But if you’re new to the Raspberry Pi and want to try a different OS (or install a retro gaming system, a Kodi media center How to Choose the Best Version of Kodi for Raspberry Pi How to Choose the Best Version of Kodi for Raspberry Pi Not sure how to get started with Kodi for Raspberry Pi? Here are your best options for an awesome home media center. Read More , Arch Linux, RISC OS Turn Your Raspberry Pi Into a Retro PC With RISC OS Turn Your Raspberry Pi Into a Retro PC With RISC OS RISC OS is a remarkable operating system released in 1987. Today we show you how and why to get it running on a Raspberry Pi! Read More or any number of alternatives) writing disk images to the microSD card may seem needlessly complicated. And let’s be honest, it is. When installers like NOOBS, BerryBoot, and their various spin-offs exist, it’s sensible to use one of them. These tools give you the best operating systems for your Raspberry Pi, and also support multiple OSes. To switch operating system, a boot screen is introduced so you can select the OS you wish to use. But which one should you choose? Which of these tools offers the easiest, most reliable experience? NOOBS: The default choice for many, maintained by the Raspberry Pi Foundation. PINN Lite (PINN Is Not NOOBS): A fork of NOOBS, with a far wider selection of operating systems. WD Labs Foundation Edition Software: A special version of NOOBS that installs your choice of OSes direct to a USB hard disk drive (HDD). BerryBoot: The forerunner to NOOBS, and still widely used. 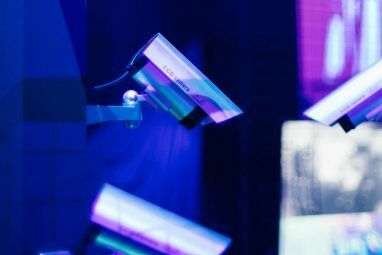 In assessing these four tools, I looked at how simple it was to find and install my chosen operating systems, the tool’s reliability, and whether installation to additional storage is supported. Although BerryBoot was released first, NOOBS (New Out Of Box Software) is arguably the most popular option, and the Raspberry Pi Foundation’s own solution. It’s even possible to buy a microSD card with NOOBS pre-loaded to save time. NOOBS is available in two flavors, a larger download including Raspbian, and a Lite version with only an operating selection menu. Both require a connection to the internet to download and install your chosen OS. Once unzipped, your choice can be easily copied to a formatted microSD card. The NOOBS menu is clear, and all you need to do is put a checkmark against each operating system you wish to install. Obviously, as with all of these tools, you’re limited by the size of your microSD card. Installation is simple: just click Install! NOOBS is a reliable system for downloading a good selection of operating systems, but it’s not possible to install to external storage without first setting the Raspberry Pi to boot from USB (this only works with the Raspberry Pi 3). Find out more in our dedicated look at the NOOBS software How NOOBS For Raspberry Pi Can Help First Time Users How NOOBS For Raspberry Pi Can Help First Time Users There is something about the Raspberry Pi that might just put people off: until now, setting it up has not been particularly user friendly. NOOBS aims to change that! Read More . Published by Matt Huisman, PINN Lite is an alternative to NOOBS with a wider selection of operating systems. In total, 64 OSes can be installed on your Raspberry Pi, assuming you have the space! 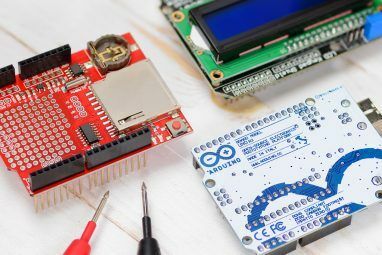 These OSes cover a wide selection of purposes, from retro gaming and media centers to home automation and IoT. Check the full list for details. You’ll spot some surprises in there, such as Amibian (an Amiga-based Raspbian version) and Lineage OS (the open source fork of the CyanogenMod Android OS). Designed for use with WD Labs range of Raspberry Pi-focused HDDs, this version of NOOBS defaults to the external storage. This doesn’t involve any prior setup, either! In addition, WDLabs include some special “Project Spaces”, enabling installation of multiple Raspbian versions, each for a particular purpose. Although intended for the WD PiDrive kits, the PiDrive Foundation Edition Software is still available to download. If you have a USB-compatible HDD connected to your Raspberry Pi, this is worth trying out. 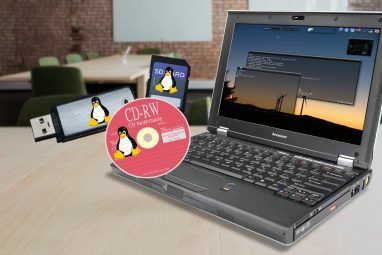 Offering a whole different spin on installing multiple operating systems to a Raspberry Pi, BerryBoot gives you a good selection of OSes as well as the ability to install to any connected USB storage device. This means you’re able to increase the lifespan of your microSD card by reducing its use! BerryBoot does offer some surprises, however. It can connect to your wireless network with configuration, and you can also specify your timezone and keyboard layout. There’s also support for HDMI-CEC, which means you can access the menu using your TV’s remote control. On the downside, it isn’t immediately apparent how to install your choice of operating systems. Also, BerryBoot uses Sourceforge rather than hosting the operating systems on its own site. As a result, if Sourceforge is down (which happens regularly), BerryBoot cannot install your choice of OSes. We’ve looked at BerryBoot, and three versions of NOOBS. But which of these Raspberry Pi OS installers is best? As you can see, the choice on offer from the WD Labs version of NOOBS is superior to all other options. Unfortunately, WD Labs is withdrawing its support for the Raspberry Pi community, so it’s wise to act quickly. In truth, of course, all four options will do the job, and BerryBoot’s functionality might suit you better. Or you might just fancy a choice of 64 operating systems with PINN Lite! Prefer to just manually install a single operating system on your Raspberry Pi? Check our Raspberry Pi installer guide How to Install an Operating System on a Raspberry Pi How to Install an Operating System on a Raspberry Pi Here's how to install an OS on your Raspberry Pi and how to clone your perfect setup for quick disaster recovery. Read More for full details. Explore more about: Linux Distro, Raspberry Pi. I'd like to throw "PiBackery" in the ring. Not only it can write the OS image to the SD card but it also can configure your Pi in one step. WiFi password after first boot? No problem! SSH key for remote access? Right behind you, baby! It even can run a custom post-installation script to install complex software. You create your recepie, hit install and do not have to touch your Pi anytime near.